On today’s “Faith and Freedom” radio broadcast, Liberty Counsel’s Mat Staver likened the state of Georgia to Nazi Germany, claiming that Christians in the state are coming under satanic attack. 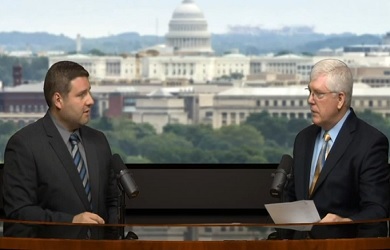 Staver was discussing the cases of Kelvin Cochran, who was fired from his position as fire chief in Atlanta for distributing to employees a self-published book he had written that included attacks on homosexuality, and Eric Walsh, a lay minister who is suing the Georgia Department of Public Health for religious discrimination, claiming that he was fired after government officials reviewed sermons he had delivered about homosexuality and evolution in church. 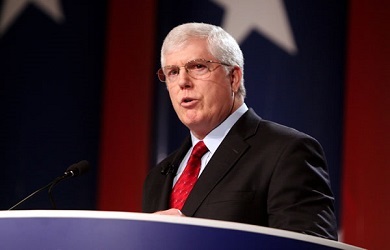 “We are living at a time where the church is coming under great stress from these secularist and, in some cases, satanic forces, and now is the time for the church to rise up,” Staver declared. 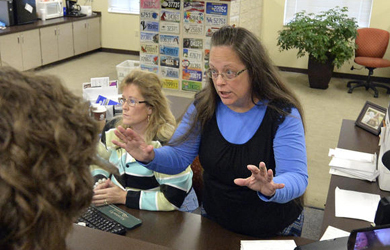 Staver has similarly compared his client Kentucky clerk Kim Davis, who attempted to prevent her office from issuing marriage licenses after the Supreme Court handed down its marriage equality decision, to those who suffered under Nazi rule.